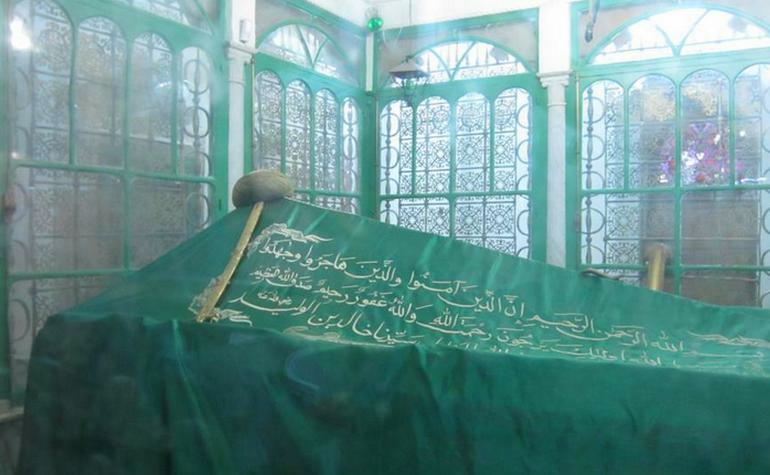 This is the tomb of Bilal-bin-Rabah (may Allah be pleased with him), one of the best known of the galaxy of Sahabah as the Muezzin (caller to prayer) of the Prophet’s Masjid. It is located in the Bab al-Saghir cemetery in Damascus. Even under these afflictions, Bilal (may Allah be pleased with him) would exclaim: “Ahad” – The One (Allah), “Ahad” – The One (Allah). He was whipped at night and, with the cuts thus received, made to lie on the burning ground during the day to make him either forsake Islam or to die a lingering death from wounds. The torturers would get tired and take turns (Abu Jahl, Ummayah and others) and vie with one another in afflicting more and more painful punishment, but Bilal (may Allah be pleased with him) would not yield. At last Abu Bakr (may Allah be pleased with him) bought his freedom, and he became a free Muslim. No sooner did he get up that he set out for Madinah. On reaching there, Hassan and Hussain (may Allah be pleased with them), the Prophet’s grandsons, requested him to call out the Azaan. He could not refuse them, for they were very dear to him. But as soon as the Azaan was called, the people of Madinah cried openly out of their anguish at the memory of the happy old days of the Prophet’s time. Even the women came out of their houses weeping. 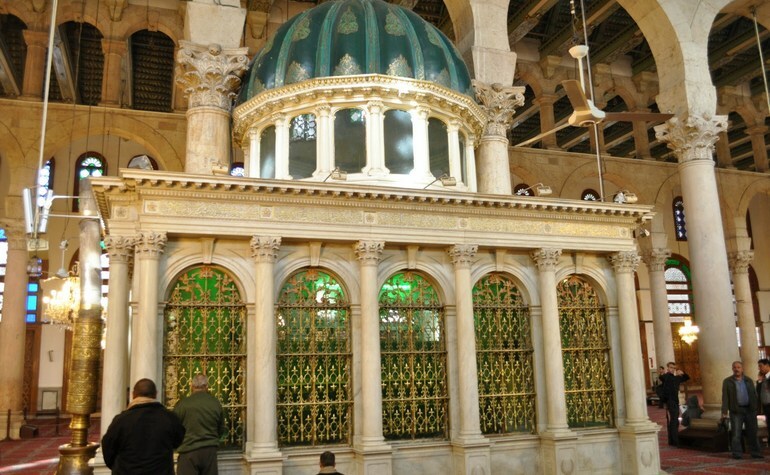 Bilal (may Allah be pleased with him) left Madinah again after a few days and died in Damascus in 20 A.H.